At Morgan Insurance Agency, LTD, we can assist you in finding the right coverage for an affordable price for your Texas mobile home or manufactured home insurance. Many times a mobile home is a more affordable way to become a homeowner and you'll need similar coverage that a homeowner would need. 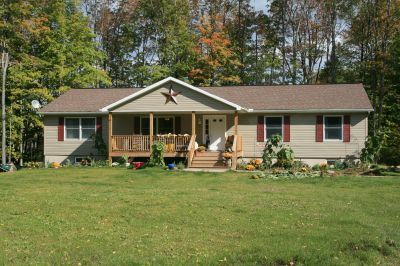 When purchasing a mobile home, you may not be aware that it requires different coverages than a normal homeowners policy. These manufactured home have special requirements due to the transportability and construction. Our professionals at Morgan Insurance Agency, LTD, can find the right options to cover your mobile home assets and liabilities. We pride ourselves in customer service with the lowest possible rate. Just contact us today at 936-634-7755 to find your next Texas mobile home or manufactured home insurance policy. We service mobile home insurance policies in Lufkin, Texas including the Beaumont, Houston, Jasper, Livingston, and Nacogdoches areas.